Are you after a lawn that doesn't need as much mowing as other turf varieties, that thrives in shade, is hard wearing, drought tolerant, is soft enough to lie on & has excellent winter colour compared to other buffalo types? Then Palmetto is the turf for you. Palmetto Buffalo has been a proven performer right around Australia for many years, as a tough, low maintenance Soft Leaf Buffalo variety. 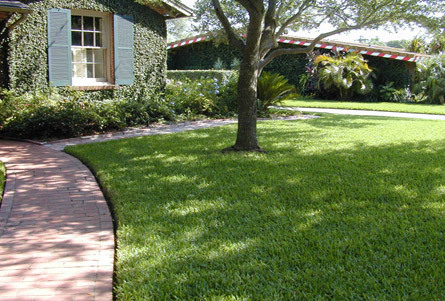 Palmetto Soft Leaf Buffalo is ideally suited as a lawn in many applications. With its beautiful emerald green colour, it looks great around pools, front & backyards, sun & shaded areas, roadsides, factory areas & parks. 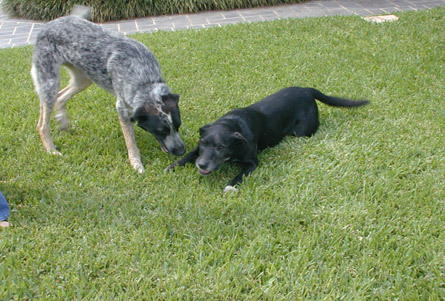 Palmetto requires less watering than other lawn types and has low mowing requirements giving you more time to relax. Palmetto is well suited to domestic & commercial uses. Use empty garbage bin for rain collection when not in use. A simple alternative to a tank for pots that do not recieve the rain.